Ditch Witch 115hp trench diggers are compact machines, with trenching capabilities from 170mm to 600mm wide and down to 1.5 meters deep. 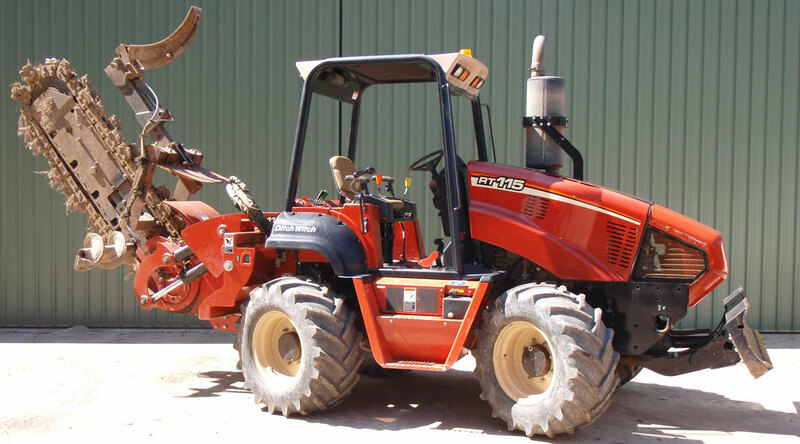 Our 115hp trencher comes equipped with four wheel steer and side shift attachment. The 115hp trench digger is a versatile machine for your next major trenching project. Attachments: Side shift trenching, attachment with front back-filling blade. 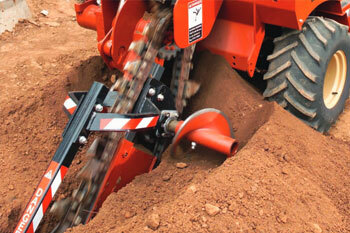 A trencher digs 3 to 4 times faster than an excavator/backhoe with less mess. 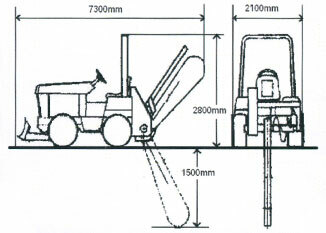 Various size trench widths means you don't have to excavate any more than is required. The spoil is excavated more finely with a trencher so the trench can be easily back-filled with better compaction. 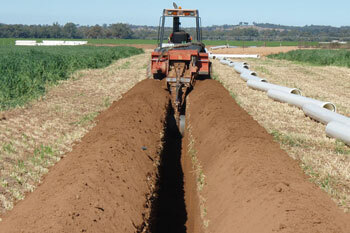 As the spoil is much finer it can be suitable for the bedding of pipes and cables, etc.